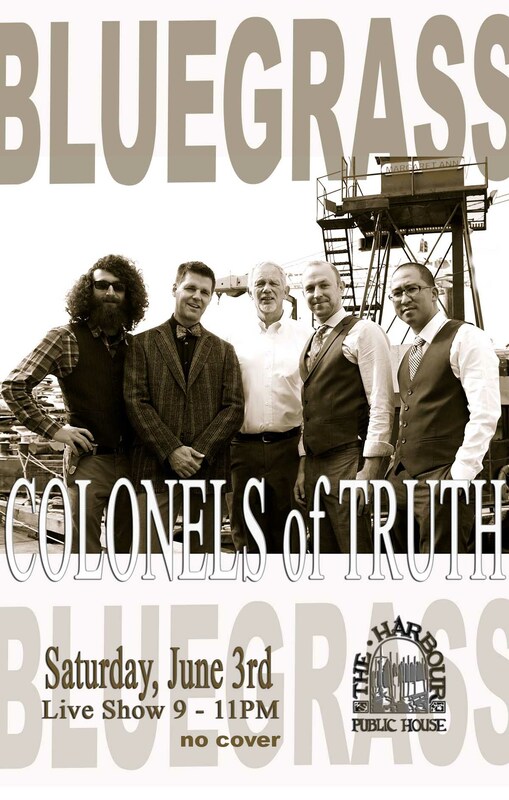 The Colonels of Truth are a 6 member high energy bluegrass band out of Seattle. This band wasn’t formed by child hood friends nor was it formed in some magical meeting one night at a bar. Like good whiskey it was distilled over years of playing with many musicians at various jams, house parties, and festivals. These are the guys that at 2 am are the ones that think the jam is just getting going. These are the guys that drive 2 hours one way to regularly go to a jam. They took their time slowly gathering like minded individuals under one banner to create the Colonels of Truth. When these guys get on stage you can tell not only are they talented musicians, but they really enjoy making music together. 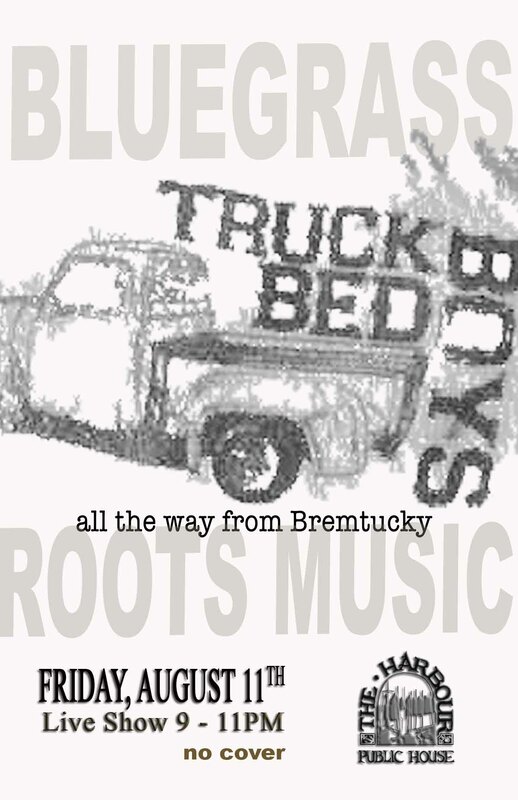 While these musicians prefer playing bluegrass music, they have highly diverse musical backgrounds from classical, jazz, funk, reggae, Brazilian, and rock and they bring the best of all these styles under one roof, energy of a rock show, precision vocal and instrumental harmonies, off the cuff improvisation, funk and reggae jams. Colonels of Truth play traditional bluegrass standards, appalachian old-timey tunes, obscure newgrass tunes, and original tunes. All of the members are song writers and arrangers, some of them have even won awards in song writing contests, and they bring this creativity to their playing. Citizens for Responsible Energy Solutions, based in Washington, DC, advocates for clean energy solutions mostly on the federal level. They recently filmed Congressman Reichert in his office about clean energy and its importance in Washington state. He specifically mentioned Impact Bioenergy and used part of PSE‘s Pub HORSE video in their video as well. Click below to watch. “The whole neighborhood was against it,” explains Jocelyn, whose parents opened the Harbour Public House in 1991. Neighbors remembered the Bloody Bucket, a “rough bar” that had been down the street, and they didn’t want to deal with that headache again. But Jocelyn’s parents, Jim and Judy Evans, dreamed of opening a pub for years—inspired by Jim’s English heritage—and they were determined. The couple had moved to Seattle in 1966 after Jim was offered a job teaching civil engineering at the University of Washington. The appeal of waterfront property and the cheap land prices of those days quickly brought the couple across the water to Bainbridge Island. Both Jocelyn and her brother Chris grew up on the island. And after a brief stint of the family living on a sailboat (Jim and Judy also dreamed of sailing across the world with the whole family one day), the couple bought the property where the Harbour Public House sits today. There were two homes on the land and years later one of them would be remodeled into the pub. It was an old house; with floors so slanted that Jocelyn remembers being able to let go of her toy car in one corner of the house and watch it roll across the floor to the other. The idea of opening a business stayed with Jocelyn’s parents as they watched their kids grow up. And in the 1980s, they began the process of renovating the house into a pub. All in all, it took about five years before the doors opened. The first step was getting the necessary permits, which was difficult since a year-long teaching job took Jim and Judy to New Zealand during the first part of the process. Although she was just a senior in high school, Jocelyn was tasked with going to the required city council meetings on their behalf and listening to the ‘Bloody Bucket’ worries of neighbors. Eventually, the permits were granted and construction began. By this time, Jim was back at the UW and decided to take advantage of his class of civil engineering students. He posed the question of how to remodel his old home into a functioning bar as a final exam. The winning design was used in the actual building renovations. 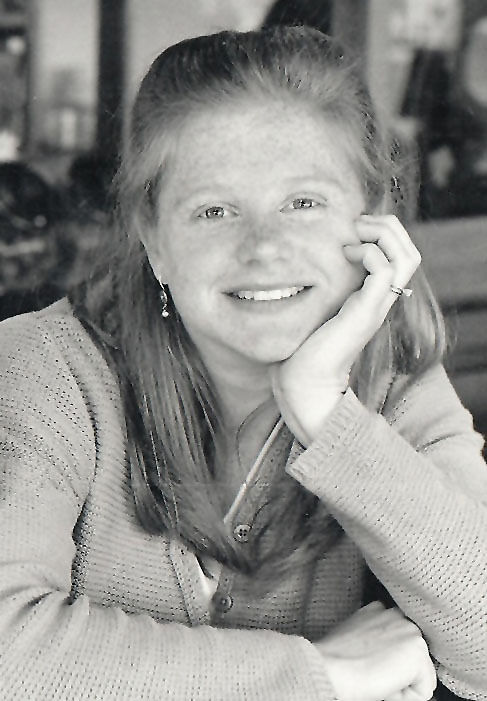 After high school, Jocelyn went to college in California and spent some time traveling abroad in Italy and England. When her senior year rolled around, her parents still hadn’t opened the pub. They were stalling. The realities of their dream business was daunting. But Jocelyn insisted they had to bite the bullet and give the pub a shot. And finally, during her senior year of college, they opened it. She came to help them with their first few weeks of operation, and then returned to school. Not long before her graduation, Jocelyn got a call from her parents asking her to move back to the island to manage the pub. As it turned out, neighbor’s liked the Harbour Public House. It was nothing like the Bloody Bucket nightmares they’d imagined. But Jim and Judy didn’t have experience managing a bar, and they needed help running the place. Jocelyn wasn’t interested. But they kept calling. “I had this mental block about living in my hometown,” explains Jocelyn about her apprehension to move home to run the pub. “I had applied to law school,” she explains. She had every intention to leave. The past couple of years had been difficult showing up as the owner’s daughter and managing a large staff of people — most older than she was. But at the same time, she was surprised at how much she enjoyed the life she’d built on Bainbridge. Jocelyn enjoyed customer service, managing staff, and being a part of the Bainbridge community. It also didn’t hurt that she had recently met her future husband, Jeff, and wanted to stick around to see how their relationship would unfold. Jocelyn worked full time at the pub for 23 years. She got married at the pub. She’s met some of her best friends at the pub. She’s watched as friends and staff members have met their future husbands and wives there too. And when they had their first child, Jeff and Jocelyn were able to split the business responsibilities, allowing Jocelyn to be a full-time mom with a full-time career without putting her kids in daycare. “It was the best thing I ever did,” Jocelyn says about her decision to embrace the opportunities she had on Bainbridge. The mechanical HORSE is temporarily employed adjacent to our parking lot. Initially permitted for six-months, the Pub was able to negotiate one six-month extension to keep the unit operating for demonstration purposes. The self-contained HORSE, which stands for High solids Organic waste Recycling System with Electrical output imitates other biological ruminants (barnyard animals). When optimized, it steadily “eats” or otherwise diverts over 100 pounds of our carbon-based wastes from our waste bins. Partnered with Puget Sound Energy and Impact BioEnergy, the Pub’s HORSE pilot demonstration is in full swing. Having arrived in September, 2016, the unit has been put into full production mode over the past few months. Because this is the first unit using nothing but food waste, the Pub is documenting the practices that work best with its particular blend of food wastes and volume. During startup, the Pub and the engineers from Impact BioEnergy have been met with a few challenges. Each one has been overcome, so far, and the unit is operating as expected. 1. Demonstrate to the community that this project and ones like it are viable. 2. 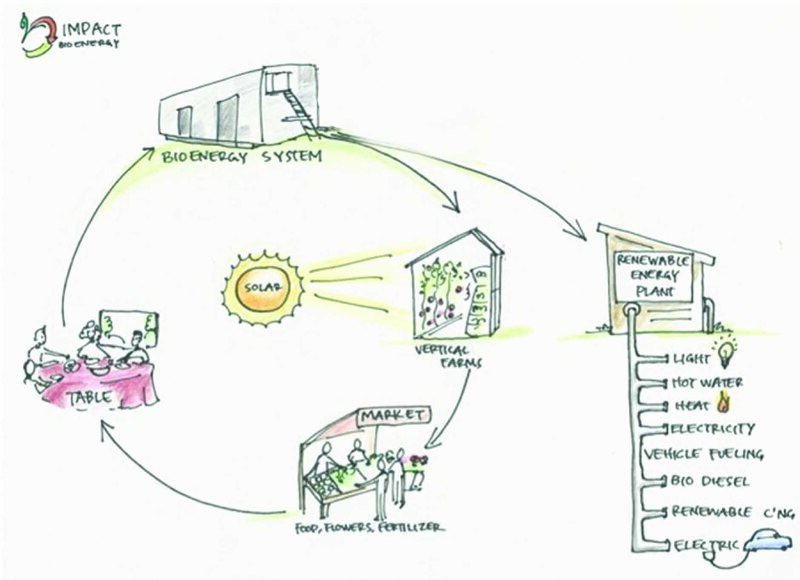 Inspire a public dialogue about resource recovery through coordinated projects like this one. 3. Develop strategies for locating and funding permanent projects. Partnering with PSE and Impact BioEnergy, the Pub has set up a HORSE pilot demonstration (more detail at Fresh Connections). Because composting can be both an art and a science, we’ll be attempting to discover the practices that work best with our particular blend of food waste and volume. The mechanical HORSE will be temporarily employed adjacent to our parking lot for about six-months – imitating other biological ruminants (barnyard animals). We expect that it will “eat’ or otherwise divert over 100 pounds per day of our food and carbon-based wastes from our waste bins. Also, of great interest to our partners, the electrical output will be monitored and analyzed. Remember watching Doc Brown power up his time-travel machine with banana peels among other items scavenged from garbage in “Back to the Future II”? Well, that may be our new reality. We hope to power part of our electrical use during the pilot phase of the project with the same food waste. We’ll be keeping you updated here over the next few months. 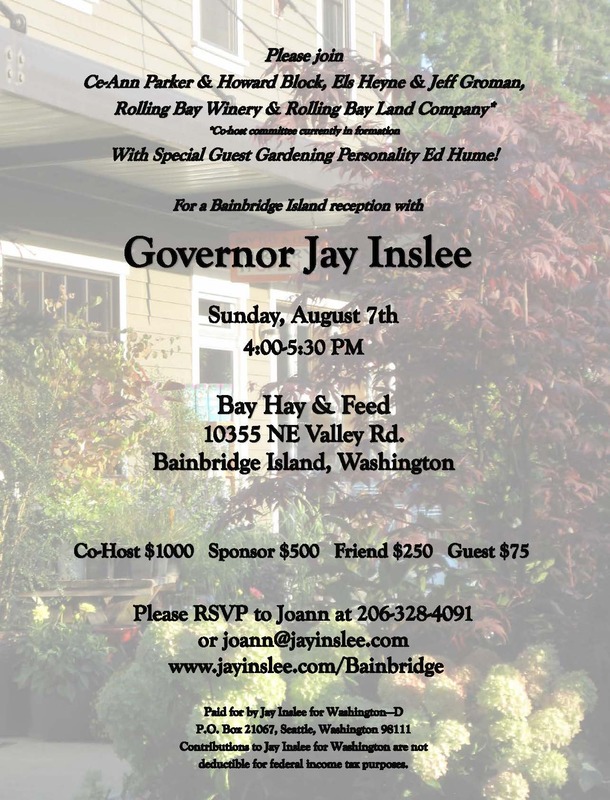 Oh, and being Bainbridge Island, even though the project is community-based, it still has its detractors. So, if you think this is a cool project, keep the positive comments coming! The Dayaalu Center, one of Bainbridge Island’s beloved yoga and holistic body healing centers, will host an enchanting communal meal beneath the stars on Saturday, July 30th from 7 – 9 PM, as they join forces with the green Quince Blossom Kitchen to serve a four course, farm-to-fork dinner on their patio. Both of these holistic businesses focus on transforming body and mind through various mediums, ranging from plant-based meals prepared with love, to yoga, music, and meditation. The convergence of their missions, along with the missions of local farms, will culminate in a conscious dining experience that connects you deeply with your community, the land, and prana, the life force, which flows through these plants and transfers into your body through conscious consumption. Quince Blossom Kitchen’s Emily Abby Klein has been seasoned in many of Seattle’s fine restaurants and is an up-and-coming caterer with a focus on simple and elegant plant-based meals. She will be utilizing the summer harvests of the island’s local farms, abundant in fruits and vegetables of all varieties. By attending this farm-to-fork dinner, you will expand your culinary prowess of vegetarian meals and open the possibilities of healthy, clean eating, while supporting local farmers, dedicated to stewardship of the land and the practice of ecologically sustainable farming that utilizes natural landscape and nature’s rhythm and cycles. In addition to expanding your community and rejuvenating your relationship with plant-based food, the Farm-to-For Dinner with Quince Blossom Kitchen is expanding the scope of their mission by promoting egalitarian access to healthy, organic food for all, in partnership with downtown Seattle’s Green Plate Special. A portion of the proceeds from the evening’s dinner will be donated to this youth-centered educulture organization, bringing a hands-on farming experience to fourth- to eighth-graders. At Green Plate Special, kiddos learn about basic food and nutrition and grow from there, planting, growing, harvesting, cooking, and eating their own vegetables! 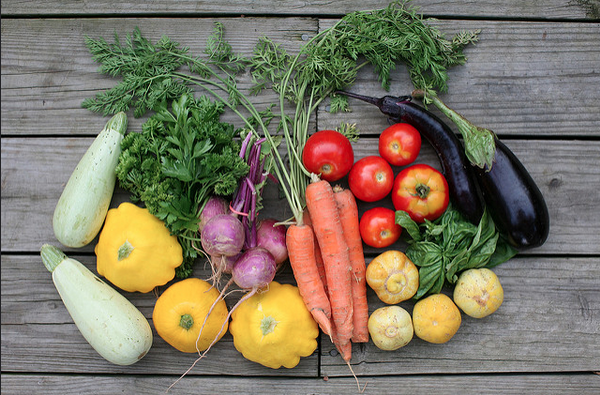 In an urban setting—particularly low-income—access to organic food is difficult. This organization provides crucial gardening, health, and cooking skills that empower and inspire a healthier youth and sustainable future. This joyous event is also meant to bring acquaintances and even strangers together around a table to celebrate in the space we call “home” with laughter, storytelling, skill-sharing, and general elation. The Dayaalu Center guides many on the path to mindfulness, raised consciousness, meditation, yoga and pilates, sound healing, and aryuvedic care, with a desire to “help us hear, see, smell, taste, touch, and move in ways that cultivate AWE-filled moments, compassionate engagement with life, and connections to self and others,” according to their site. If you want to participate in this conscious community meal, register here. 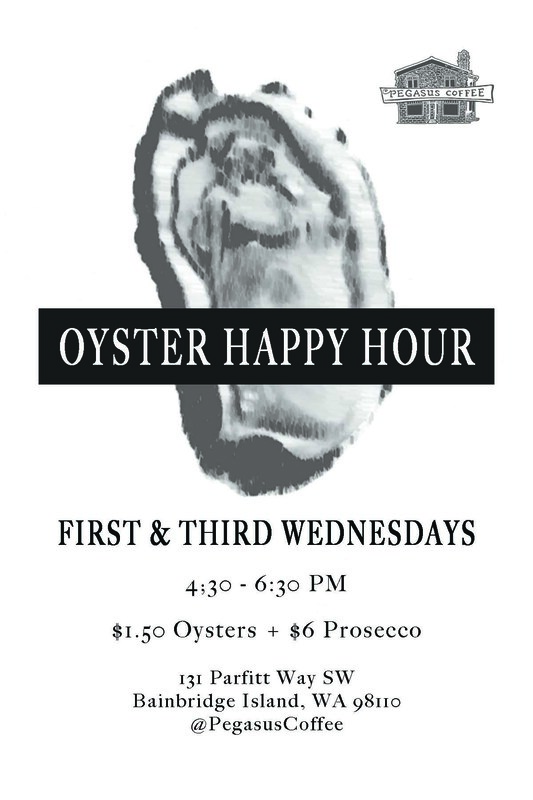 Seats are $50 per person, which includes gratuity and taxes, as well as your contribution toward Green Plate Special. For four courses of local, organic food, prepared with love for you and your community, this is one meal you don’t want to miss. Email Jeny at jeny@dayaalucenter.com or Emily at quinceblossomkitchen.org with additional questions. It’s summertime, the weather is fine, and opportunities to enjoy the sunshine with friends, family, and our pets are abundant! Join four- and two-legged friends at the beautiful Downtown Poulsbo Waterfront this Saturday, July 16, from 7 AM to 1 PM in order to support the Kitsap Humane Society (KHS) in their annual PetsWALK, a walk-or-run fundraiser, which includes vendors, live music, pet talent contests, pet costume contests, and games to help our furry friends at the animal shelter live happier lives. Last year, PetsWALK 2015 broke record attendance, bringing together more than 400 walkers and runners (and 150 dogs) who participated in teams comprised of family, friends, coworkers, nonprofits, church groups—you name it! PetsWALK 2016 hopes to surpass both the fundraising and attendance for last year, so gather a team, register for the event, and join us in walking, running, or playing games in the name of KHS, sporting your PetsWALK t-shirt, free with registration. For extra fun, come with elaborate costumes for your team and pets, and join in the costume contest! Choosing to fundraise for PetsWALK is easy and has fantastic prizes and rewards! Within two days of registering, you will be provided with a link to direct you to your own fundraising website, which can be personalized and even linked to your own sites and personal media, such as Facebook! Inspire your friends to donate to this crucial and fantastic cause—instead of buying a $5 mocha latte one morning, send that money to KHS, where that donation will be used to buy life-saving veterinary care, food, and so much more for these animals. Prizes for fundraising for KHS range from water bottles, pet bandanas, totes, baseball caps, hoodies, t-shirts and, wow, even an iPad for those who raise more than $2,500! The fundraising goal for PetsWALK 2016 is $25,000, and KHS believes this goal is attainable with your help! While fundraising for the event is not a requirement, the incentives are high—Kistap Humane Society has spayed and neutered 2,301 animals in 2016 and rehomed 2,892. These sweet animals have been provided with food, medical care, shelter, and love by volunteers, veterinarians, and donations since the opening of KHS in 1908. Due to the chaos around World War II, the KHS disbanded, but the need for an animal shelter only became more critical. During the war, the population of Kitsap County increased exponentially due in large part to military relocations, and with it, so did the animal population. When owners were relocated from Bremerton and the Kitsap area, many animals were left behind and, unfortunately, were often exterminated by law enforcement. Local animal advocate Almeda Harris Wilson saw a solution to this animal crisis and pushed for a revival of KHS in 1961, which succeeded due to support from county and city officials. Later in the sixties, the KHS was relocated to a brand new shelter in Charleston Beach because of a lack of space, which was then enlarged in 1971, but even the renovations were inadequate, and the shelter was relocated to a bigger property in 1989 in Silverdale, where it currently resides. Keeping this shelter open has not been easy, and it takes a village–or, in this case, a county—to thrive! The shelter provides adoptions for dogs, cats, small animals, and occasional livestock, a Barn Cat Program, and fostering for injuured, traumatized, or young animals, as well as extensive veterinary care, such as microchips, spay and neutering, euthanasia, cremation, and vaccinations. Support can be offered to KHS through volunteering, personal donations, corporate donations, hosting a third-party event, In-Kind giving, planned giving, and bringing your friends and family to fun events such as PetsWALK! Parking for the event will be provided by Gateway Fellowship in Poulsbo, and registration begins at 7:15 AM. If you’re attending for the pet vendors, head to the Waterfront Park at 8:30 to get the first picks of all that the merchants have to offer. The walk begins at 9 AM at Lions Park (6th and Matson), and contests commence at 10:30 AM at the Main Stage. The awards ceremony will be held at 11:45 AM at the park, and the ceremony will close by 1 PM. Scroll to the bottom of KHS’s PetsWALK event page to see the many sponsors and possible prizes you or our pet can enjoy! See you there!